Managed to get out for the last two days of the year. 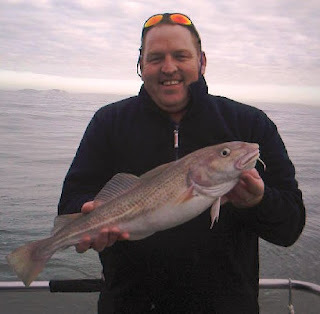 Sunday was the Poole bay Cod Comp. Had two cod both under ten pounds. 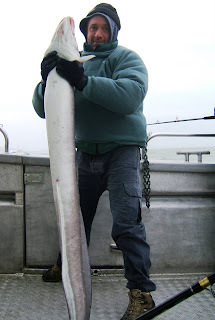 Also had 9 congers and a good selection of whiting, pouts and dogs. 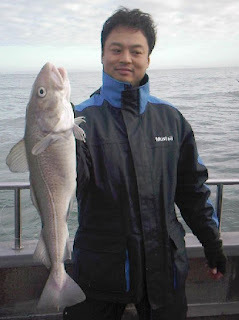 Chan with an 8lber caught before the squid ran out. 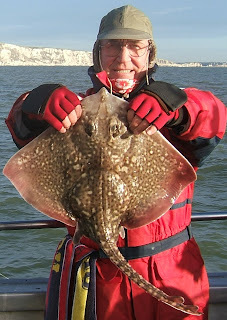 Mark Palmer with a 6lb fish just in the prizes. On Monday returned to the same mark. 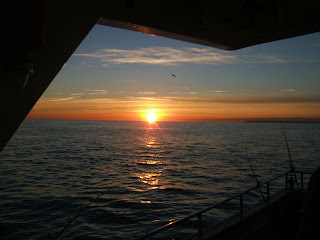 Sea was even calmer but the fishing was much slower with only one conger plus a big fish broken off during the morning. 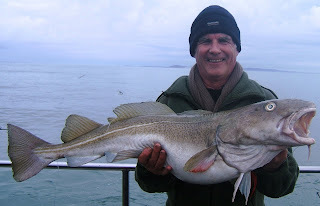 Then Geoff Warburton from Farnham hooked a wonderful cod of 27lb. Would have been worth a lot of money 24hours earlier! 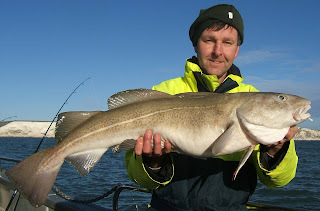 Anyway Geoff's first cod and an excellent fish to finish 2007. I'd like to wish all of you that have fished on Silver Spray a very happy New Year. Thank you for your support and making 2007 a memorable year despite the the weather and fishing being difficult at times. The best of our catches are recorded in this blog and I hope you have enjoyed it as much as I have. I'm looking forward to seeing you on Silver Spray with tight lines in 2008.